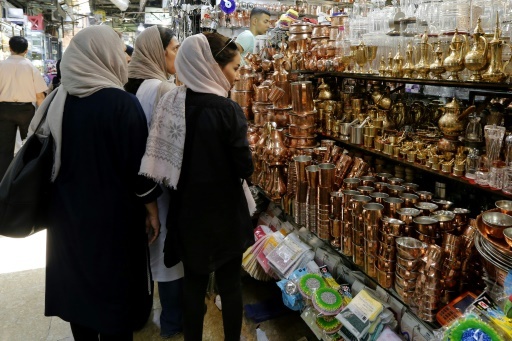 Tehran (AFP) – Iranians are hunkering down for the return of US sanctions on Monday with a run on gold and hard currency as they scramble to protect their savings, and sporadic protests over the already troubled economy. AFP / ATTA KENARE. Iranian women shop at Tehran’s ancient Grand Bazaar in Tehran on July 28, 2018. AFP / ATTA KENARE. 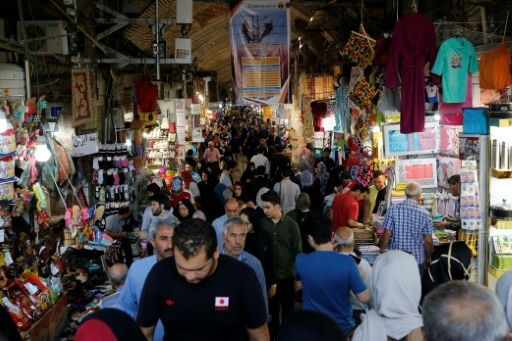 Iranians walk inside Tehran’s ancient Grand Bazaar in Tehran on July 28, 2018. AFP / ATTA KENARE. 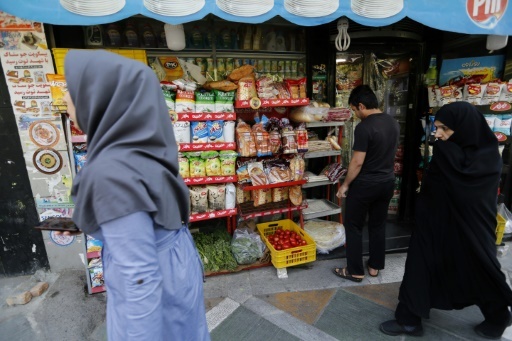 Iranians walk past a food shop in the capital Tehran on July 31, 2018. Featured Photo: AFP / ATTA KENARE. A man withdraws Iranian Rials from an automated teller machine in the capital Tehran on July 31, 2018 Iran’s currency traded at a fresh record-low of 119,000 to the dollar on today, a loss of nearly two-thirds of its value since the start of the year as US sanctions loom. Eric Randolph is Deputy Bureau Chief for Agence France Presse in Tehran. His reporting has also appeared in The Independent, Foreign Policy Magazine, Foreign Affairs, and The National.